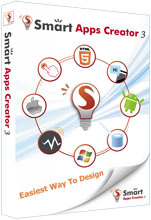 Q : Can I install Smart Apps Creator 3 on Mac? A : Yes, please click here to read installation guide. Q : Why I can't find output iOS choice in my output function? 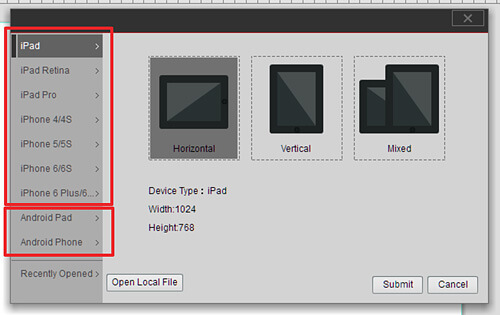 A : Please start your project by choosing apple device then you can output both .apk or .Xcode file. 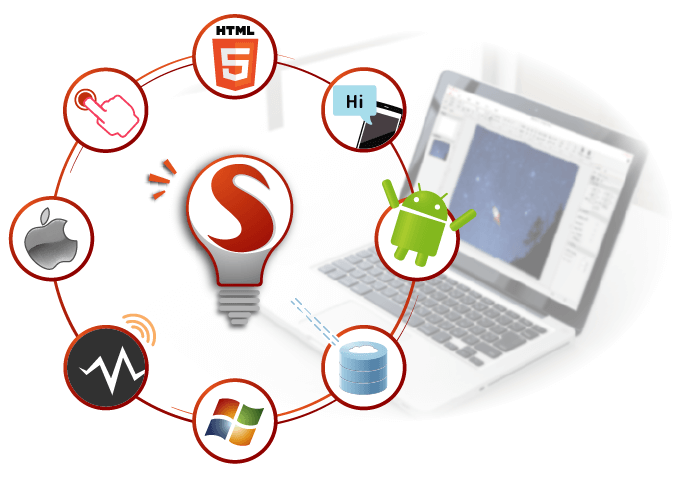 Q : What do I do if I want to install my Smart Apps Creator on other computer? A : You can deactivate your product key then activate it on other computer. Go to smart button (on the upper-left corner of your screen) >> account information >> deactivate. Q : I can't successfully output my apps. A : Before you outputing your apps, please make sure you are connected to the internet. Q : I can't successfully real-time test my apps. A : 1. Make sure your firewall didn't block you from real-time test. 2. Make sure your device and computer are connected to the same Wifi Lan. Q : How do I publish my apps to Apple Store ? A : Please move your .Xcode file to Mac and open it with Xcode, then you need a developer account, a certificate for your apps and then you will be able to start apple publish procedures. 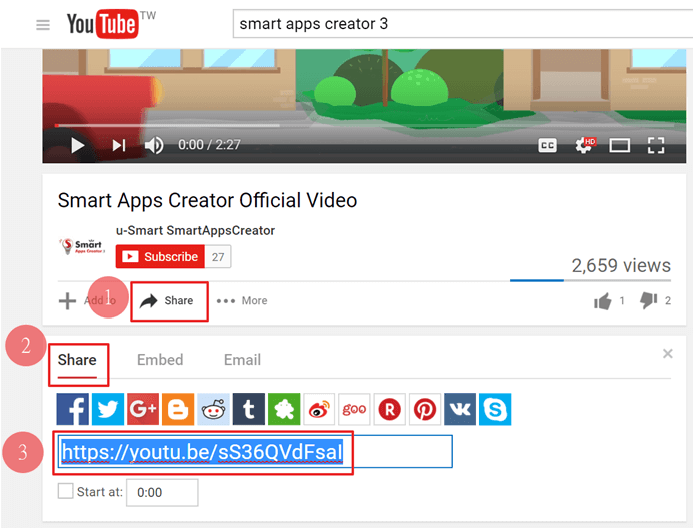 (We have the step-by-step in your Smart Apps Creator please check). Q : I have problem publishing .apk to Google Play. 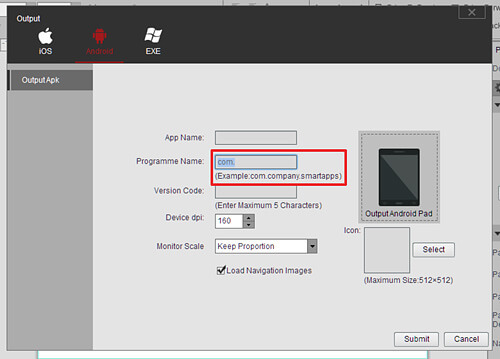 A : Please make sure, when you are outputting your .apk, you program name started by "com." Q : How to response "Privacy & Security" notification warned by Google Play ? A : This article is to help Smart Apps Creator users response "Privacy & Security" notification by giving them step by steps. Q : I can't activate my serial number on Smart Apps Creator. A : Before you start to activate, please connect your computers to the internet. If you fail to activate serial number while computers are connected to the internet, please TURN OFF firewall and anti-virus system, then try again. Q : Why the insert YouTube function doesn't work ? A : Please make sure you insert the correct URL as below picture.